I have always thought that history is written by someone with their own point of view. Not always real, but over time, and by repeating it, this will turn it into "fact." We have a TV program called Fox that does this. Just take things out of the blue, with no fact, and by repeating it over and over, the viewers think it is fact. Shows how gullible and stupied people can be. And this is how history is "made." As a scholar of the French Revolution, the lie about "Let the eat cake" has always gotten on my nerves. Funny, a friend just sent this to me and I added or enhanced each one. Most of our Founding Fathers were deist, attended church only for weddings and funerals - a required social duty, the word "creator" in the Declaration of Independence refers to nature and not a god. Poor Marie - she was a Hapsburg, hated by the French, when told about the situation, which really was beyond her comprehension, she may have said a number of things - none that would be known after her brutal death, but the word cake was then often used for a non-rising bread. Very informative article. Thanks Sophie for sharing. This is very interesting! Thankyou Sophie ! The article is mostly correct. St. Patrick was born in Scotland to be exact. Also, he's the patron saint of Nigeria. He died at Saul (about 2 miles north of Jerusalem). Nifty article. Thanks. It appealed to the history buff in me. I was surprised to read that many Americans learnt these "facts" at school. 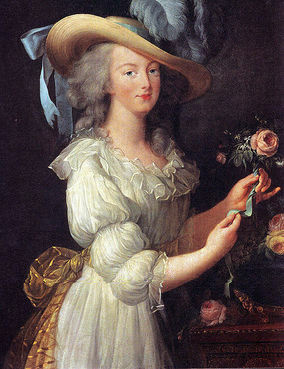 Marie Antoinette and John Fitzgerald Kennedy may have more in common than we thought! The recent episode where some atheists in North Carolina put up a billboard that said "One Nation Indivisible..." that was modified by some fundamentalist Christians adding "under God" is another example of this persistent thought that America is a "Christian nation". Most of these people don't realize that the words "under God" were added during the Eisenhower administration in response to the "godless communists" during the Cold War, something that most people in this country don't remember and many haven't even heard of. Likewise, think back to your study of the War of 1812. Most Americans know only that England invaded the U.S., burned Washington, and that Dolly Madison rescued the painting of George Washington from the new and as yet unfinished White House. How many know that the United States attempted to invade Canada during the War of 1812, twice or three times, and were rebuffed by the Canadians every time, first at Niagra, then at Hamilton, then at Quebec. America's response to things that haven't worked out to the politician's satisfaction has always been invasion, but most folks don't know that either. I think it's amusing that, in Canada, the attempted invasion of Canada is taught, and, in the USA, it's ignored. I always had my doubts about **grandpa....Christoffa Corombo (Cristobal Colon), but I still love him! **My great-great, etc. grandfather 517 years back! Wow, Sophie . . . Some I already knew, but the article, overall, was VERY interesting! Thanks for sharing this, which reminds us of all those myths which so many people think is the Truth. I just wish an equivalent of the "Mythbusters" program on Discovery Channel existed, which would destroy those historical myths as efficiently as Adam & Jamie are doing with the scientific ones!!! double dog dare you to take on the Adam and Eve, Virgin Birth, and a bunch of other ones. p.s. Dinosaurs actually existed and roamed the earth long before humans, and way, way long before fundamentalists claim they did! Oh yeah, the moon is NOT made of green cheese..otherwise the astronauts would have brought a good wine and a loaf of bread with them. Not real sure if the lunar landing was actually filmed in a Hollywood studio...ha! Nothing new in that article. Do not recall being taught any of those things in school. I find it difficult that any of it is being taught in schools now. Thanks Sophie. Sylvie M. has a good idea for a new kind of Mythbusters but so many of the truths have been lost. Would do well to report the ones we do know before they are lost. I love teaching my kids what really happened and seeing and hearing from their teachers about it, especially school celebrated Columbus Day activities and the general Thanksgiving reality. And now, with the Conservative extremists having been in power when Texas decided on new History texts, we're going to have our children learning even more glaringly untrue (and damaging) things! Was Patrick actually ever a Catholic? Was he not actually a Christian long before the Catholic Church claimed that they alone were the "expositores" of "truth". Was it not Patrick who kept them out of Ireland? Did it not take some two hundred years and making him a "saint" that they eventually were able to "convert" these "barbaric" peoples to "christianity", something that they had already had for centuries. Probably the same sort of rhetoric history that is presented like how the Romans beat the original Britons. It never happened but we believe it because it eulogises the great and mighty Romans. Yes, history certainly gets its share of twists and most of it by "religionists". America was founded to get away from "Kings and Popes". I do not see it as a "christian" nation. There are and have been more wars and murders of people pushing "christianity" (so called) than any other belief system except maybe in the 20th century but then, even those warmongers (Hitler and Lenin) were backed by the so-called "christian" church as well. Even the Russian Revolution was secretly funded for the purpose of getting hold of the vast wealth of the Russian Czars. Something that they would rather we do not know. wow...i must have been in a particularly excellent school system in VA in elementary school because I actually did know most of the details contained in this article. thank you soooo much for posting this. Quick, someone do a search for smallpox blankets!!! Those of us who devour history by the great big heaping bowlful because its our favorite find it frustrating and pathetic that schools in general do such a poor job of teaching it. The few exceptions, fortunately, often produce an excellent understanding of the subject and even a great historian from time to time. Noted, thanks Sophie, very interesting. I did know about a few of these, but it is deffinitly proof that you shouldn't believe everything you hear without researching it a bit more thorowly yourself. Good...now convince the FUNDIES of that first one--good luck! Katherine Lenz might enjoy http://timpanogos.wordpress.com/ He's been anti religious interference in the teaching of science in Texas for years, even noting teachers have taken refuge in a legal collective to protect their professional freedom. On intelligent design - a subterfuge for anto Evolutionism - the vitriol flows. The War of 1812 is the least of it. I recall being asked by French speaking students in high school - I lived in a bilingual community for a few years - why the contents of English and French texts differed. Since that was N.B. , l'Evangeline and the deportation of Acadian French and exodus to Lousiana were included somewhat in English texts. But recent coverage is most damning by its lack : about Canada's role in the overthrow of Aristide, for instance.